Come join me for the SoulCollage® Facilitator Training in Sonoma County. 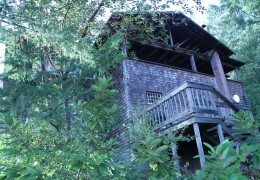 Nestled in the redwoods, near the Russian River and the Pacific Ocean lies St. Dorothy's Rest. 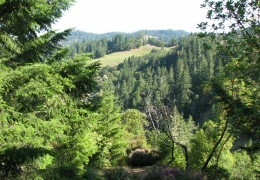 A quiet retreat center in Sonoma County, about an hour north of San Francisco along the famed Bohemian Highway. The oldest camp in California, St. Dot’s has been serving children and adults from all faiths and all walks of life for over 100 years. 1. Non-artists struggling to express their longing to be creative appreciate that there is no wrong or right way in SoulCollage®; the process is simple, fun and profound. Anyone able to manage scissors and glue can create beautiful cards and enjoy sharing them with others. 3. Healers and people seeking to heal see in SoulCollage® a gentle yet deep self-care method that reveals their inner guidance by exploring and "becoming" images and using their cards to do SoulCollage® readings. 4. Artists interested in bringing a new dimension to their art find a spiritually-infused process that they can share with others, a creative threshold to surprising revelations, greater self-understanding and the enriching acceptance of the light and shadow at play in our lives. 5. Anyone who values participating in and building learning communities based on mutual respect, support, and a commitment to care for self and others are drawn to learn and share SoulCollage®. 6. People looking for a way to give back to their communities, families, friends, children, church groups, women's/men's groups, hospices and other organizations see SoulCollage® as an opportunity to support the growth and well-being of others and themselves. 7. Individuals seeking spiritual renewal and a creative way to access their deeper guidance and wisdom. How to implement a therapeutic structure which both protects and encourages self-discovery, without the facilitator doing therapy. Demonstration of ceremonial work with SoulCollage® cards. Discussion about how to use the internet to support and encourage SoulCollage® community, including the SoulCollage® Facilitators' List serve, the Facilitator's "Neter Letter" newsletter, SoulCollage® Exhibitions, and referral listings on the website for trained SoulCollage® Facilitators. Ethical pitfalls and challenges that might arise when one is working with individuals and groups using the powerful spiritual and personal images of SoulCollage®. Reading SoulCollage® Evolving by Seena Frost. Listening to Seena Frost’s two CDs - Introduction to SoulCollage® and Facilitating SoulCollage® in Groups. Having a working knowledge of the SoulCollage® process by making a few cards in each suit (one card in the Companion Suit is sufficient). It is highly recommended that you begin doing readings with your cards (See pp. 103-118 in SoulCollage® Evolving), which will help enrich your training experience. Attend a workshop with a SoulCollage® Facilitator or take a recorded Fundamentals of SoulCollage® video course which will prepare you for the Training. It is not a pre-requisite, but it will be helpful at some point to listen to each of the CDs in Seena’s series, "Your SoulCollage® Cards." The Training begins with registration from 1:00-1:45pm, (the Training begins at 2:00pm on Thursday) and ends about 1:00pm on Sunday. Mornings begin at 9:00am and end at 6:00pm. Friday evening there will be a session from 7:00pm-9:30pm. In order to receive a completion certificate, all sessions must be attended, so please make your travel plans to permit attendance at all sessions. This offering of the SoulCollage® Facilitator Training in Sonoma County. 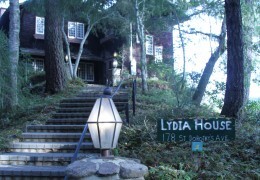 Accommodations are single or shared rooms and bathrooms in the Lydia House. St. Dorothy's Rest prepares healthy, tasty meals (vegetarian options), using local products and receiving rave reviews. Though easily accessible from the Bay Area, entering this peaceful place is like returning to a simpler, more gentle time. Perched among redwood, fir, and madrone trees on a hillside overlooking a valley, St. Dorothy's Rest is close to both the Russian River and the Pacific Ocean. The quaint old town of Occidental, with its shops, restaurants, and historic buildings, is just a mile or so away. Register by paying the full tuition of $695 (early bird fee-price good through November 30, 2018) or a $350 deposit to reserve your space. After November 30, 2018, full tuition is $775.00. Full payment of your tuition is due by January 10, 2019 February 10, 2019. Accommodation fees are $385 double, $495 single, $265 commuter. Accommodation fees must be paid by February 28, 2019. These fees will be collected separately, and after the full tuition is collected. Pay with PayPal or a credit card. If you wish to pay with a credit card and don’t have a PayPal account, click “Don’t Have a PayPal Account?” and pay as a guest. Click on the down arrow (below) to choose full payment of $695, or $350 to choose deposit, or choose balance due options. PLEASE CLICK HERE TO DOWNLOAD A REGISTRATION FORM to complete and return to Mirabai as soon as possible. A full refund, less $150 fee, is given if the cancellation is received on or before February 10, 2019. This processing fee applies to all payments, whether a deposit or a payment in full. No refund or credit is given for cancellations after January 10, 2019, or if you fail to attend, or if you leave the event early, unless someone is able to take your place at short notice. You may also apply a credit toward a new SoulCollage® training led by Mirabai Joan Kolari held within the next 12 months in Europe or the United States. If you must make a last minute cancellation, you also have the option of offering your payment toward tuition for another, as long as they have met the training pre-requisites. This training is required for a person to call themselves a “SoulCollage® Facilitator and their groups to call themselves “SoulCollage® Groups”. After completion of the SoulCollage® Training you will receive a certificate of completion and may use the SoulCollage® trademark in doing individual or group work according to the “Principles of SoulCollage®”. Click here to read these important “Principles of SoulCollage®” at the SoulCollage® website. The CEU fee charged by SoulCollage Inc. is $25 for the 24 CE hours of credit for one professional license/person. That fee is due at the time of registration and is not refundable.